Meet the author, David Levithan. From David Levithan's book Everyday, "David Levithan is the author of many acclaimed novels, some of them solo works, some of them collaborations. His solo novels include Boy Meets Boy, The Realm of Possibility, Are We There Yet?, Wide Awake, Love is the Higher Law, Two Boys Kissing, and The Lover's Dictionary. His collaborations include Will Grayson, Will Grayson (written with John Green), Marly's Ghost (illustrated by Brian Selznick), and Every You, Every Me (with photographs by Jonathan Farmer), as well as three novels written with Rachel Cohn: Nick & Norah's Infinite Playlist, Naomi and Ely's No Kiss List and Dash & Lily's Book of Dares. He lives in Hoboken, New Jersey, and spends his days in New York City, editing and publishing other people's books". What is an Email? Who Invented the Email? 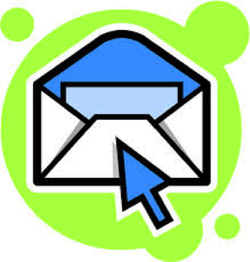 Why is Email popular? Ray Tomlinson worked as a computer engineer at Bolt Beranek and Newman (BNN). In 1968, BNN company was hired by the United States Defense Department to build the first internet. Then in 1971, Tomlinson invented the internet based email and also chose the @ symbol to tell which user was "at" what computer. The very first email ever sent was between two computer that were sitting right next to each other. The message in the first email sent was something most people would not expect. It was “QWERTYUIOP”. This may appear like letters jumbled together, however it is the first row of letters on the keyboard. Don't believe me, look at the keyboard on your computer. Demonic possession has been set in our beliefs since the beginning of civilization. Throughout each religion, different religious figures have been said to have rid people of evil spirits or what some believed to be demons. After Nathan wakes up on the side of the road, he is convinced A is the devil or possibly working for the devil. In the bible it states; "Jesus preached and cast out devils,” Mark 1:39. Ever since the beginning, all forms of sickness, both physical and psychological were attributed to possession of spirits. People relied on religion to form an exorcism. Exorcisms were a way of taking out or extracting the evil spirits from the body, these were done with: the use of prayers, commands, fumigation, holy water, hellebore, rue, salt and roses. Even to this day, people believe or fear the idea of demonic possession. The idea of something or someone taking over our body freaks us out. Still to this day, horror films play with this idea.